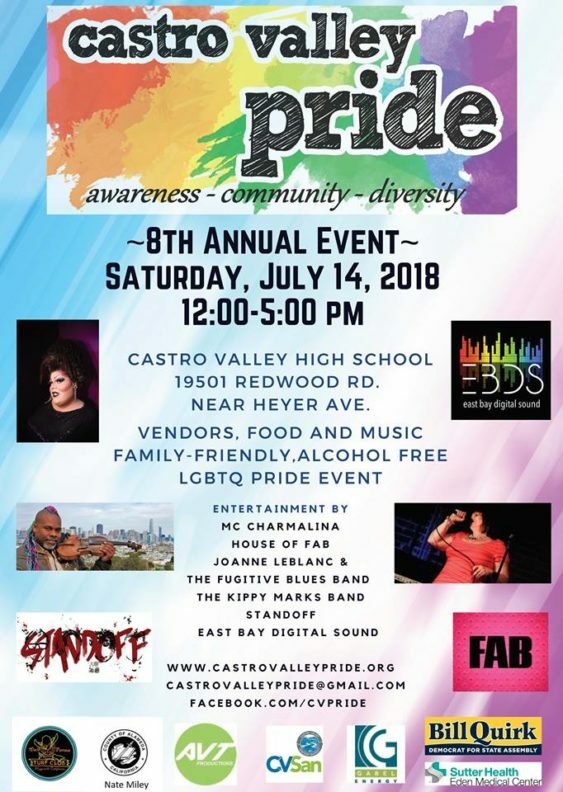 Castro Valley Pride returns for 2018. 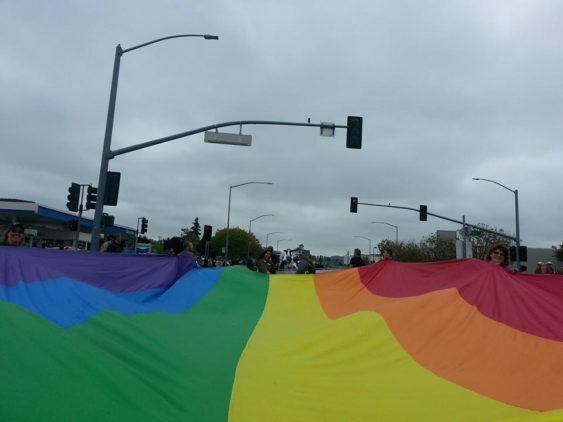 The community is invited to join and embrace diversity and resist intolerance. They will provide a fun-filled family event with food, games, booths, performers and speakers. They aim to create a safe, welcoming space for the LGBT community, neighbors, family, friends and allies to enjoy a beautiful summer day together. The event will be held at Castro Valley High School Stadium Plaza at Redwood Road & Heyer Street.